Extended Call for Papers @CAA2012! Still time to submit some great research @CAA2012! Check out session codes HCI4 and Theory6. 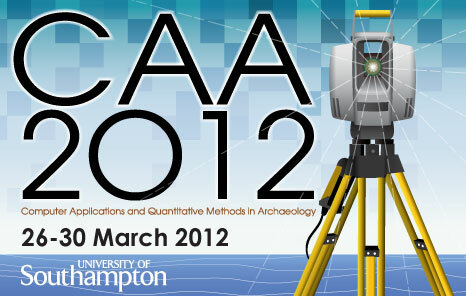 University of Southampton, Archaeology CAA 2012 – . Deadline: Wednesday 7th 23:59 UK time. I’m copying here abstracts of the two sessions I’m co-organising and hope to see many great contributions in the coming days! Virtual environments constitute the main digital platform for inquiring and disseminating aspects of the past. Yet at the beginning of the 21st century, a change of focus in research agendas and media strategies towards the physical spurred an ever-growing body of research on mediated and mixed reality (MR) environments. 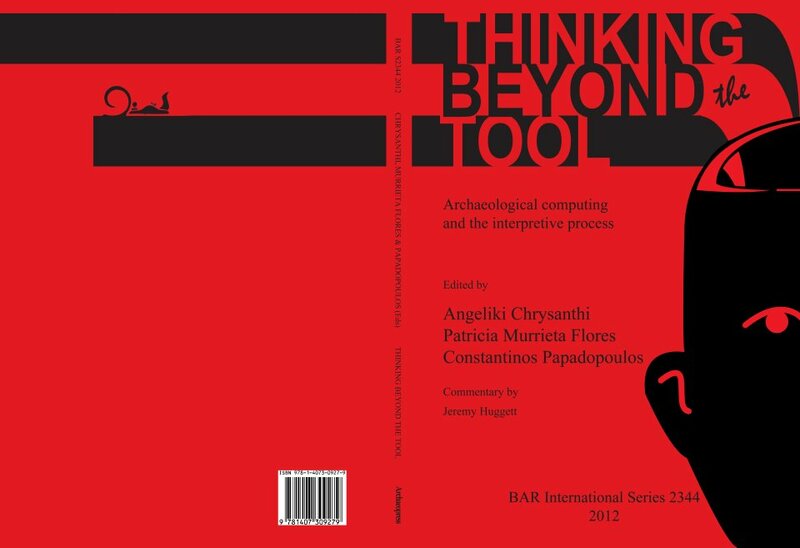 The fields of archaeology and cultural heritage have provided stimulating grounds for the development of enabling technologies which promise to push the boundaries of interpretation beyond solely virtual or real spaces. Whether such technologies are used as research assisting, interpretive or knowledge dissemination tools, the main idea is to enhance the environment in which the user operates with additional information. To name a few, digital audio and video, annotations and three-dimensional imagery embedded in physical spaces or gestural input in virtual environments. Already, a significant number of collaborative projects are exploiting how the potential of mixed reality technologies and new methodologies are applied in fieldwork, interpretive archaeology, cultural heritage sites, and museums. More recently, the advancements in Information and Communication Technologies (ICT), the advent of smartphone and PC tablet devices which are equipped with more powerful operating systems have increased the development of mobile applications. In terms of Augmented Reality (AR), substantial change is also witnessed at the level of real time and dynamic generated content. Issues of sustainability and affordability of the systems are also on the agenda. Apart from the enabling technologies per se, research focuses on interaction design and visitor experience evaluations. These developments provide technological foundation for revisiting theoretical discussions about phenomenology and the perception of the environment, embodiment, and visual cognition. The purpose of this session is to assemble researchers from a variety of disciplines who currently work on mediated and mixed reality applications in archaeology and cultural heritage and initiate discussions around the affordances and limitations of such systems in our disciplines as well as the theoretical issues concerned. Human movement and mobility has always been a challenging topic in the field of archaeologyinvolving research both in past and contemporary settings- due to the static nature of material culture which usually conditions both its interpretation and reception. In addition, research on movement features in a variety of discourses pertinent to spatial perception, wayfinding and embodied experience providing thus, an ideal ground for interdisciplinary research. Mobility in past societies can be considered a scalar phenomenon whose study requires the consideration of diverse temporal and spatial scales. In order to understand how people travelled and moved during the past, it is necessary to delve into a series of theoretical and practical issues that range from the basic variables and factors that affect human movement such as physiology, perception, and social relationships, to the specific conditions of the environment in which the studied society lived. In the past decade, a wide range of computational approaches in different disciplines has been developed helping us to shed light into a variety of hypothesis related to human movement. I particularly like the idea of a simultaneous visualisation of an artefact and its parts. In an artefact’s ‘biography’, conservation is the stage where different fragments of it (e.g. pottery sherds) are glued together. This is a rather permanent intervention with no reversibility option to the previous state and therefore all necessary recording and analysis practices must precede conservation. From the point that you conserve an artefact its archaeological value gives place more and more to its cultural value. I wonder what is the real value of having an interactive visualisation of the virtual artefact apart from the the fantastic gimmicky effect? The Berlin Wall is back! A great example of Layar’s developing platform implemented by Hoppala and Superimposed. The concrete barrier built in Berlin by the German Democratic Republic dividing East Germany from West and demolished in 1989 is now back in its original context through this application. Undoubtedly, the historic value of this area is enhanced by this but I am intrigued to find out about this application’s impact to Berliners! Interesting post about goggles and archaeology.Certainly Google hasn’t invented the ‘Turing Machine’ but it is interesting to see how specialists will populate this pool of knowledge and to what extend they can influence it.